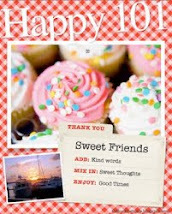 I'm happy to welcomea good friend to this blog. Virginia Smith has written several books that I love. More of the same, I hope. I love all aspects of being a writer—the business end, the marketing, the ongoing skill development, the discipline required, and of course the act of writing. I hope God lets me keep doing this for a long, long time! I know what you mean. Tell us a little about your family. My husband of seventeen years is an amazing guy, the most supportive man any woman could hope for. When I left my corporate job to write full-time, he told me, “I have no doubts you will be successful. I know you can do anything you set your mind to.” Isn’t it awesome to have someone who believes in you like that? We live alone, since my kids are both grown and on their own. Family is important to us, and unfortunately ours is a bit spread out, which is why we keep two homes. My daughter and son-in-law live not far from our home in Salt Lake City, and almost all my extended family lives within a 40-mile radius of our home in central Kentucky. We’re a big, loud, boisterous, fun family, and we all love God and each other with all our hearts. As happens with every writer, I began to read differently when I started studying the craft. I taught myself how to analyze a novel, to dissect the elements of characterization and setting and plot. I also began to notice active versus passive phrasing, and the ratio of dialogue to narrative, and point of view techniques. Now it’s hard for me to read a novel without noticing those things. These days my definition of a good novel is one that so captivates me in the story that I forget to notice the writer’s technique. A recent one I enjoyed immensely is Brandilyn Collins’ Crimson Eve. I was so into the story I forgot to analyze the writing. And after a while, I didn’t care. I was so compelled to keep reading that I didn’t want to stop and study her technique. That’s a good book! And these days if a book doesn’t grab my interest and keep it, I don’t hesitate to set it aside and find something that does. Brandilyn's work does that to you. What are you working on right now? I have so much going on at the moment I hardly know how to answer! I have just finished the first draft of Age before Beauty, the second book in my Sister-to-Sister Series from Revell. I’m in the stage where I’m letting it ‘rest’ before I revise it and turn it in to my editor. And I’ve just received a contract for my eighth novel, a mystery that will be released from Steeple Hill in October of 2008 called A Taste of Murder. I am focusing all my writing efforts at the moment on getting the first draft of that finished because it’s due at the beginning of January. Then of course I am working to promote Bluegrass Peril, which just came out. And I’m also beginning the promotion activities for Stuck in the Middle, the first book in the Sister-to-Sister Series that will be out in February. And then I have another book coming out in March! How exciting! What outside interests do you have? My husband and I are avid scuba divers. We try to get down to the Caribbean a couple of times a year, more if we can fit it in. Our favorite diving destination is Cozumel, Mexico. The water clarity there is crystal-clear, and the coral supports an amazing variety of sea life. Recently we went down to Roatan, Honduras, and we had such a great dive we decided that might become our next favorite. Naturally since we have a house in Salt Lake City we’re snow skiers. There are seven world-class ski resorts within easy driving distance of my home, and my favorite—Brighton Ski Resort—is just 20 minutes away. Wide tree-lined slopes, breathtaking mountain views, very few crowds during the week. I love it. Every book is different. All my books so far have been set in central Kentucky, because that’s the place in the world I know best. Sometimes the idea for a story comes from a character, and the setting is Kentucky because I know I can write a Kentucky girl believably--since I am one! But sometimes the idea comes from the setting itself. Bluegrass Peril, for instance, is set on a thoroughbred retirement farm. I got the idea when I visited a place called Old Friends, a real retirement farm for stallions not far from my home. The place, and the director, and the horses themselves, made such an impression on me I decided to set a book there. I used a fictitious farm, of course, so I could have the freedom to arrange things the way I wanted, but the inspiration for the story grew out of the setting of a real place. Well, I can’t say Jesus because He’s not merely historical. I spend every day with Him. So I guess I’d say… Margaret Tudor, the sister of Henry VIII. Their other sister got to go to the French court, which was a center of elegant society in that time, while Margaret was sent off to marry the king of Scotland, viewed as a land full of little more than barbarians. She played a pivotal role in British history. But being a political pawn isn’t easy, and she was apparently very unhappy there at first. I visited Stirling Castle in Scotland, and as I walked through the halls I couldn’t help wondering what her life was like. Years later, when Queen Elizabeth I ruled England, it was Margaret’s great grandson, James, who became Elizabeth’s heir since she had no children of her own. Upon Elizabeth’s death, James was the first monarch of both royal lines to rule both countries, truly uniting the two. Which is way more detail than you care about, but you asked! Actually, I love historical details. What is the one thing you wish you had known before you started writing novels? I wish I’d known how to write! Seriously, I didn’t have a clue about so many basics. I didn’t know what point-of-view was, much less that there were rules associated with it. I didn’t know how to draw the reader into an action scene by Showing versus Telling. I didn’t understand how to write believable dialogue. I didn’t know anything! If I had, maybe it wouldn’t have taken me twenty years to finally publish something. That this life is all about Him, not about me. I realized something not long ago as I was praying and laying out my requests to God. I have been so focused on the things *I* have to do, and on getting His help with them. But that’s backward. My tasks, like writing books, are important, but not because they’re my tasks. They’re important because they’re His tasks that He has delegated to me. Sure, I need His help or I can accomplish nothing worthwhile on my own. But the focus should be on Him, not on me. He’s the one at the center of my universe, and all my activities need to revolve around Him, not the other way around. When the director of a retirement farm for thoroughbred champions is murdered, Kathy Dorsey teams up with the handsome manager of a neighboring horse farm to find her boss’s killer. The amateur sleuths uncover a trail of clues that lead them into the intricate society of Kentucky's elite thoroughbred breeding industry. They soon find themselves surrounded by the mint julep set – jealous southern belles and intensely competitive horse breeders – in a high-stakes game of danger, money, and that famous southern pride. Bluegrass Peril was such a fun book to write! My husband really got into the research with me. We went to the Breeder’s Cup, a horse race held at Churchill Downs in Louisville, Kentucky, and we visited a thoroughbred breeder’s farm several times. We spent quite a bit of time at Old Friends (www.oldfriendsequine.org), the real thoroughbred retirement farm on which the fictitious farm in the book is modeled. I did attend one research visit without him, a thoroughbred auction, and I got so caught up in the excitement of the moment I almost bought the cutest little filly! Not a good thing, since some of those horses sell for more than a million dollars. From then on, Ted told me he would go with me to make sure I sit on my hands when the bidding gets hot. He also says Bluegrass Peril is his favorite of my books so far. Here’s an interesting tidbit: Bluegrass Peril was initially pitched as a sequel to my first mystery, Murder by Mushroom. My editor liked the story but didn’t want a sequel, so she told me to disconnect it from the first. I changed the characters’ names, and a funny thing happened. With new names, they each started taking on their own characteristics and attitudes. So by the time I finished the book, they were all unique individuals apart from the characters in Murder by Mushroom. Still, I’m betting that discerning readers of both books will recognize them. My website is www.VirginiaSmith.org. I give away lots of goodies through my website, so be sure to check back often. And here’s a note to tuck away in the back of your mind: in February and March I’ll be giving away a $500 shopping spree to promote the release of Stuck in the Middle, book 1 of the Sister-to-Sister Series. So bookmark my site and check back next month for details. 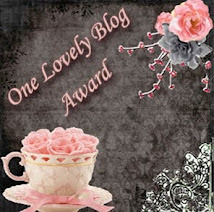 Lena, thanks so much for inviting me to your blog! It’s always a pleasure to spend time with you. And I love having you here, Ginny. 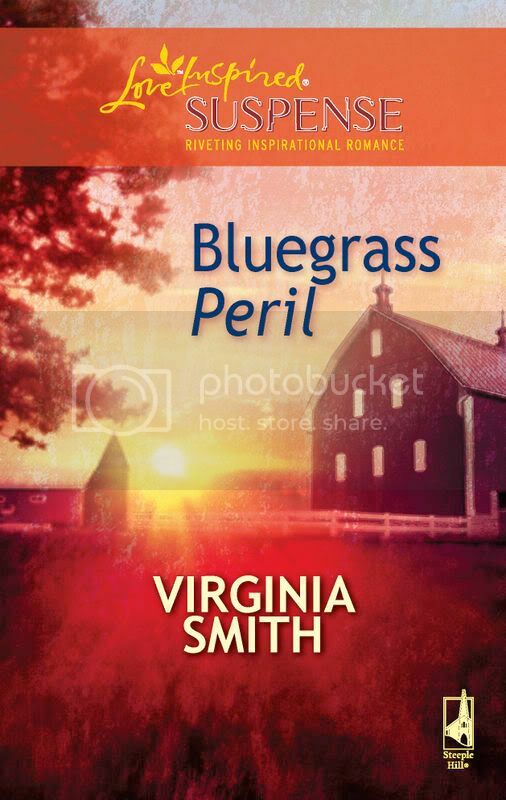 Readers, you'll want to leave a comment for a chance to win a copy of Bluegrass Peril. And be sure and come back to see if you have won a copy. We have a drawing every weekend, but you have two weeks to sign up for the drawing. If you don't want to miss a single interview or announcement of winners, sign up for FeedBlitz in the right hand column under my profile. Today, we're talking to two authors who write together. Susan and Robin, welcome. Tell us how much of yourself you write into your characters. SUSAN: I lend at least one of my quirky character traits to each one of my characters, even the bad guys. In the first book, The Chase, Rubric, Jill’s curmudgeon boss, is a creature of habit. He eats at the same restaurant again and again . . .that’s me. The female characters, especially the protagonist, have many of my traits. I bring my experiences to a character in a variety of ways, especially from the traumatic events of my life. I believe God has allowed these tragedies so I can use these experiences to relate to other and to encourage, inspire the readers. ROBIN: I bestow each female with an aspect of my personality. At times I create females with the attributes I wish I had, or attributes that I admire in others. The men are a combination of people I have known. SUSAN: My husband Ken wanted his marriage proposal to me to be unforgettable. The evening began like a scene from a movie with a sunset drive along the coast to one of Malibu’s finest restaurants. When we were seated at a fireside table with two-dozen of my favorite Sonya roses, I became suspicious. The maitre ‘d appeared with two flutes of vintage French champagne on a silver tray. He and the waiters hovered over us, I assumed to await my reaction to the bubbly. Wanting them to go away, I quickly picked up the glass and took a big sip of the champagne. Everyone gasped. Perhaps they are upset I gulped instead of sipping such fine champagne? All of a sudden I understood as a foreign object slid down my throat. My ring was hidden in the glass of champagne. I swallowed my engagement ring! After the waiter’s Heimlich maneuver, the ring popped out on the table. Ken didn’t miss a beat as he picked up the ring and proposed to me. Not exactly the romantic evening Ken had envisioned, but it truly was—an unforgettable proposal! ROBIN: Rick and I spent our honeymoon at a Christian Camp. It was 100 degrees and the room had no AC. It also had one lumpy bed so I gave Rick that to sleep in while I slept on the floor over the sump pump under the floor. ROBIN: I discovered I wanted to spend my life writing when I was in 5th grade, and tried to impress my English composition teacher with my stories. ROBIN: I love to read Cynthia Rylant’s books, and I enjoy short story collections, but my favorite read is a good mystery. SUSAN: Fleming Revell published our three novels, The Chase, The Replacement, and The Candidate. My first book with Ann Platz was the Match Made in Heaven series for Multnomah. Ann and I also wrote four gift books, From This Day Forward, (Multnomah) Social Graces, The Pleasure of Your Company and Social Graces for Your Wedding (Harvest House). I’ve written three gift books with Alice Gray, A Christmas Keepsake, Keepsake for a Mother’s Heart, (J Countryman) and A Grandmother’s Love, coming out in 2008 with Howard/Simon Schuster, and I’ve written two others, The Art of Romantic Living (Janet Thoma/Thomas Nelson) and ‘Tis the Season. Two books with Dr. Ted Baehr accompanied films, Faith in God and Generals (B&H) and Amazing Grace, (New Leaf Press), produced by my husband, a biography for a soap opera star, and a non-fiction book, Standing on the Promises (Multnomah/Random House). My five-year-old granddaughter and I’ve written and illustrated a lot of books that haven’t been published. ROBIN: I have written two cozies, four full length mysteries, and one Young Adult book, yet to be published. ROBIN: I spend time with God and ask Him to clear my mind and bring me His peace. I also take time out for me, but have to schedule it. SUSAN: I have a blast because I name my characters after my friends and family. If they’re alive, I ask their permission, especially if the character is a bad guy. All the guys love having a bad guy named after them. Go figure? This also gives me a great excuse to call and catch up with old friends I sometimes haven’t seen in years. When the book comes out, I’ll send them a copy. ROBIN: Sometimes they are combination names of people I know or have known. For example, in the book trilogy, Pearl was my mother’s middle name and Lewis is the last name of a boy I dated in college. Jill was one of my college roommates. Other times a name just pops into my head. When I cannot seem to come up with the appropriate name for the personality of a character, I go through a book of baby names. SUSAN: As a mother and a grandmother seeing the things you have taught a child about God and life reflected in their lives. As a wife, knowing how I, as a helpmate, have inspired my husband and his accomplishments. As a daughter, seeing the joy in the eyes of my elderly parents that I turned out okay! 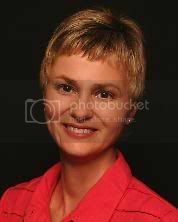 ROBIN: I am most proud of my loving family; my husband of thirty years and his missions work overseas, and our two children who both work in the health system to help others. SUSAN: Wow! Great question. I’d like to be an animal that could live in the water and on land, but not a hippo . . . a sea lion. I love to watch sea lions lounging on the beach in the sun with their pals. They’re so laid back and unafraid of approaching strangers. As I walk past them, they look up to acknowledge me. They fish and will share their food with their pals. When the mood hits them, they’ll waddle down to the ocean and take a dip. Their concern for one another is poignant. I saw a documentary in which a gigantic polar bear attacked a sea lion, and although they were unsuccessful, his friends desperately tried to pull the bear off of him. So if I were a sea lion, I’d definitely want to be a California sea lion! ROBIN: I am really glad I am a human because Jesus saved me. SUSAN: My husband and I love salads so I’m always experimenting and creating new ones. Our favorite is a beef tenderloin salad I created. I toss my favorite greens, romaine and spinach with toasted pine nuts, crumbled goat cheese, purple onion rings, sliced strawberries, and my homemade vinaigrette dressing. A famous French chef taught me it’s all about the herbs, spices, and especially the quality of oil and vinegar in the salad dressing. If any you would like my recipe for the salad or the dressing, let me know, and I’ll be happy to email it to you. ROBIN: My favorite food is Mexican. Yum. SUSAN: I’m still working on it! After I finish writing a book, I read it, and then I’ll rewrite it. And rewrite it and rewrite it. It’s a part of the creative process. And I just keep coming up with better ideas. When the deadline is looming, I finally just have to let it go. It's a challenge, but you gotta do it. It’s an addiction, but at deadline time, I refuse to open the file and look at it again. Does anyone know of a 12-step program for addictive rewriters? ROBIN: My greatest roadblock is finding the time to write. I am a fulltime teacher and work 50 hour weeks. Time can be the issue. SUSAN: Jesus Christ walked in excellence and to honor him, we must strive for excellence in all we do. So beginning writers, never stop perfecting your craft. If you don’t have the money to invest in a writer’s conferences or a writing class, you can find a ton of free information on the Internet on writing and great books at the library. Lena’s site is great for beginning writers. Take advantage of these wonderful resources. When friends and family members ask what you want for your birthday or Christmas, ask them to contribute to a writer’s conference fund. Conferences are invaluable. For those who have secured your first book contract, my advice for you is to listen to your editor. Discussions with your editor are great . . . ‘iron sharpening iron’, but if you reach an impasse, remember the editor is the expert. Discuss your true feelings with your editor, but if he or she still insists you make a change, hit that delete button and let it go, my friend. Choose your battles carefully, not just in writing but in life too. ROBIN: Stick with it, believe in yourself but be open to change. Join a critic group and take writing lessons. SUSAN: The Candidate is one of three inspirational romances that revolve around Jill Lewis, an investigative political reporter. At the close of The Replacement, Jill is burned out from a life-threatening investigation and ‘torn between two lovers’ . . . what a great problem to have, huh ladies? So what’s a girl to do? Jill runs home to Mama and persuades her to buy the local newspaper. But Jill can’t seem to escape those evil politicians and finds herself right back in the middle of a murder investigation. On a recent dive, she’s also discovered the remains of what appears to be the legendary lake monster at the bottom of the lake. Will anyone believe her? Will she escape the evil politicians? Will she decide which man to marry? Her mother and sister, who have just opened a bridal shop, certainly hope so. As one reader wrote, the ending of The Candidate will make you smile. ROBIN: I am really proud that we were able to tie legends and history of Delavan, Wisconsin, into the book. It added a flavor to the story that makes it unique. It’s a fun read. 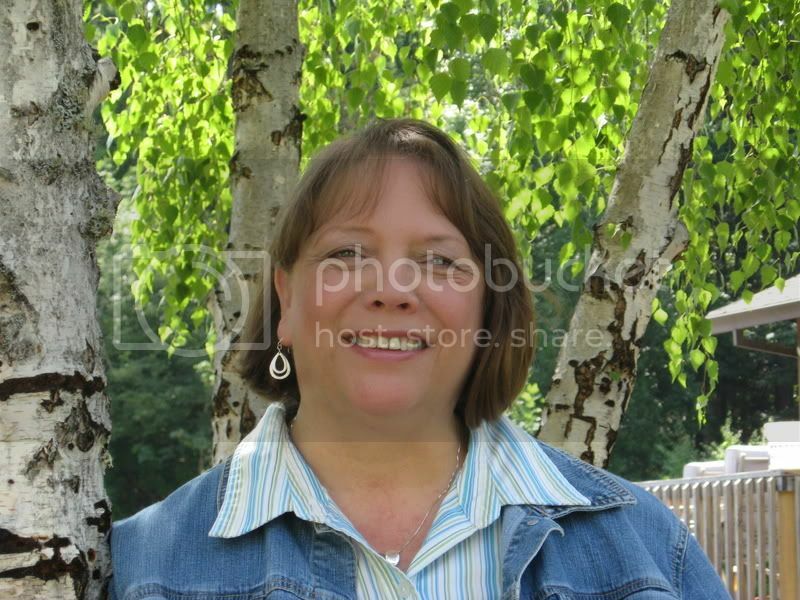 SUSAN: You can find me on my amazon.com blog. Just put Susan Wales profile in the amazon.com search. My website is www.susanwales.net . ROBIN: Just type my name in on the browser. Thank you, Susan and Robin, for letting us get to know you more. Readers, here's the good news for you. The drawing for this interview will be for all three of the books in the series, so you'll want to leave a comment for a chance to win this set of books. If you don't want to miss a single interview on this blog, sign up for FeedBlitz in the right hand column under my profile. Brendalottakamaggiebrendon is the winner of To Love Anew by Bonnie Leon. 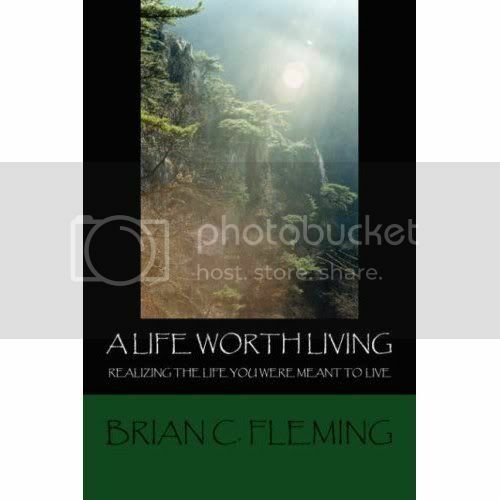 A Life Worth Living by Brian Fleming goes to angelaandconnoratgmail.com. 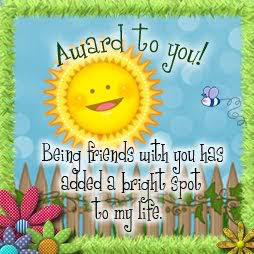 The winner of A shadow of Treason by Tricia Goyer is Cathikin. Congratulations!! Winners, send me your mailing addresses so I can forward them to the authors. Wahoo!!! We have my friend MaryLu Tyndall back with us. Remember, we've had her here before with her first two books in the Legacy of the King's Pirates series--The Redemption and The Reliance. Now she's back with the final book in the series--The Restitution. Welcome, MaryLu, I'm so glad to have you back. 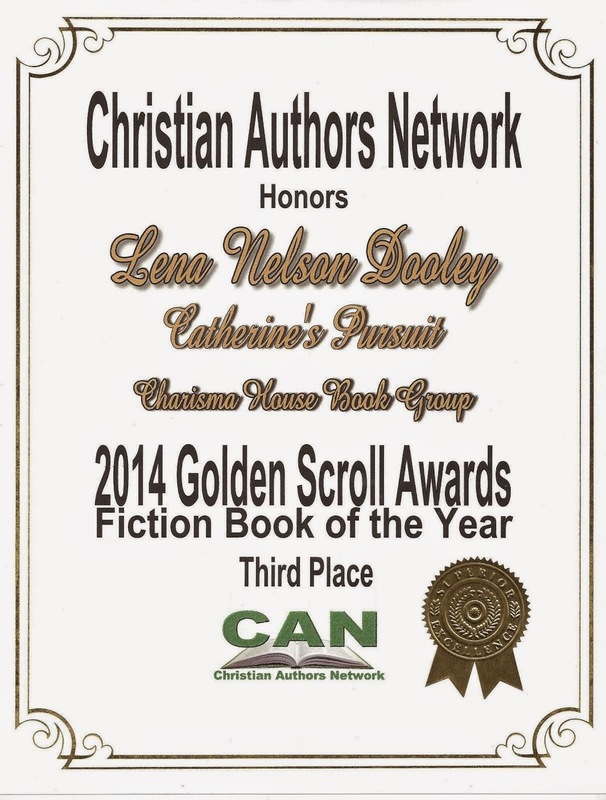 God has really been moving in your writing life. What do you see on the horizon? I’ve learned never to try and predict what God will do next. He always surprises me. Of course, I’d love to continue writing stories for Him. He has given me several ideas that are mulling about in my head right now, and I also have a non-fiction book I would love to write someday about battling for the souls of your loved ones. I just need to wait for a few stragglers in my family to come into the Kingdom first! My husband is a scientist with a PhD in Physical Chemistry and I’m a right brained, emotional creative leave-your-logic-at-the-door kind of person, so you can imagine our conversations! I think the Lord loves to throw opposites together. But I love my husband. We’ve been married 15 years and have 6 kids between us, 3 currently in college, 1 at the Naval Academy at Annapolis and one a senior in high school. We also have 4 cats. It seems all the strays in the neighborhood find their way to my house! Yes, oddly enough, I have become more critical of what I’m reading and more selective. I like to read award winners and best sellers so I can see what makes them so good, so while I’m enjoying a story, I’m also analyzing it. If I stop analyzing it and get swept up into the story, then I know it’s a good one! A novel set in 1803 London, entitled The Falcon and the Sparrow. It’s a story of a young half-British, half-French girl who has recently lost both her parents. When her brother is kidnapped by Napoleon’s men, she is forced to accept a position as governess to a British Admiral’s son in London, where she must spy for France or see her brother killed. The British Admiral is a bitter widower who longs to be back out at sea, but finds that the young governess’s devotion to God and love for his son begin to change his hardened heart. You'll have to visit with us again when that book comes out. What outside interests do you have? I love to oil paint and have several paintings hanging in my house, but I haven’t had the time to create anything new in quite a while. I also love to cook and garden. I try and choose a time period and setting that interests me, that provides an adventurous backdrop in which I can place my characters. Hence, the 17th century Caribbean for my pirate series. For the book I’m working on now, I chose a time (1803 London) when Napoleon was rising to power and beginning to threaten the known world. Your books are full of adventure. If you could spend an evening with one historical person, who would it be and why? John, the apostle. He was the closest to Jesus, and I would love to hear all the stories that he didn’t have time to write down about my Lord. I'd love to join you. What is the one thing you wish you had known before you started writing novels? The stress involved. It always seemed like such a glamorous career, but in reality, it’s a ton of hard work, long hours and stressful deadlines. Also you need a really tough skin to deal with an occasional bad review. Faith, trust, humility, guarding my mouth, and not judging others. Sometimes I feel as though I’m going through God’s boot camp! I suppose I’m a slow learner sometimes. Thank God for His incredible patience and mercy. MaryLu, tell us about the featured book. 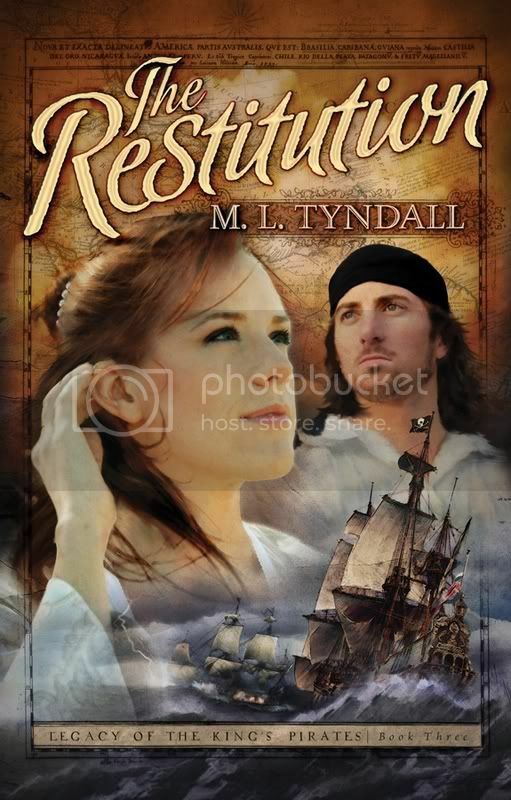 The Restitution is the third and last book in my pirate trilogy. It tells the tale of Lady Isabel Ashton, a woman once ravished by a pirate, who decided to keep the child even though she is now shunned by her parents and society. Hidden away under a reverend’s care at Port Royal, her baby is suddenly kidnapped and she is forced to combine forces with the child’s father, the infamous Captain Kent Carlton. Captain Carlton’s love for Isabel and his shame at what he did has begun to change his dark heart. Now, all he seeks is her forgiveness and to help her find their son. As the couple encounter sea battles, mutinies, intrigues, deceptions, and fierce natives, Kent is drawn to Isabel’s strong faith in God and begins to give his heart to the Almighty. But will Isabel ever forgive him? Will she give up her dreams of wealth and position to marry a lowly pirate? And what is Kent willing to forsake for Isabel and for God? I read the book as soon as it arrived. I've written reviews on both Shoutlife and in the newsletter on my web site. I just loved all three of the books in the series. How can readers find you on the Internet? Thank you for spending this time with us, MaryLu. Readers, you'll have to check out her web site. And if you want a chance to win a copy of this book, leave a comment. Someone wins these books. You have as good a chance as anyone. Sign up for Feedblitz in the right hand column, and you'll be notified when I post on this blog. What a joy to introduce my friend Margaret Daley. I've loved reading her books, and I'm sure you will, too. Margaret, tell us how much of yourself you write into your characters. It’s hard not to put some of myself into each of my characters. Usually it’s bits and pieces that probably someone who knows me could pick out. How I feel about certain topics will come out, too. I went swimming in shark infested water. I didn’t know it at the time I went off the boat and started swimming toward the island. I discovered it was when a man with a gun stood on the boat, ready to shoot any sharks that came after us. On that same trip with a friend, we got stuck across Rio de Janeiro at a museum near closing without a way back to the hotel. No one spoke English and my friend and I envisioned ourselves having to walk miles back to the hotel because there wasn’t a taxi in sight when we left the palace where the museum was. Thankfully after pacing and trying to decide what to do, a couple arrived in a taxi which we grabbed. Also on that trip I nearly drowned in the surf when a seven foot waved crashed into me and took me under. My friend hurt her leg and I lost my prescription sunglasses, but we were alive. We learned when they warn you about the undertow, you need to listen. No wonder there wasn’t anyone else in the ocean that morning! Wow, Margaret, I didn't know we had so much in common. On a trip to Mexico, I was caught in the undertow and lost my prescription sunglasses before I was rescued. My husband said probably some nearsighted fish was wearing them. When did you first discover that you were a writer? After I finished my first book which no one will ever see. I had fun putting my story down on paper and decided to do it again—and again. Now fifty-one books later I still think it is fun to make up characters and stories. Hard work but fun. My favorite books to read are suspenseful adventures, but I also like to read romances, both historicals and contemporaries as well as mysteries and thrillers. I’ve even read science fiction books, too. I have written many books both historical and contemporaries. For the past seven years I’ve been writing for Steeple Hill Love Inspired and Love Inspired Suspense. I enjoy alternating between a romance and a romantic suspense. I'm sure that keeps you from getting into a rut. How do you keep your sanity in our run, run, run world? Sometimes not so well. I try to exercise, take some time for myself and I talk to God often. I am trying to learn to say no, but that is hard for me because I like to help others. A certain name will strike me and I will use it. I play around with first and last names until they fit together. My son. He is a wonderful dad and has grown up into a fine young man. A black jaguar because I think they are sleek and beautiful. I love so many animals that I could just as easily have chosen another big cat, a panda, a dolphin, a gorilla, an elephant—the list goes on. I love shrimp, crab and lobster (but I hate any kind of fish). Go figure. Description is one of my biggest problems. I have to force myself to stop and describe a character or a scene. I usually keep adding some with each read-through I do of my story. 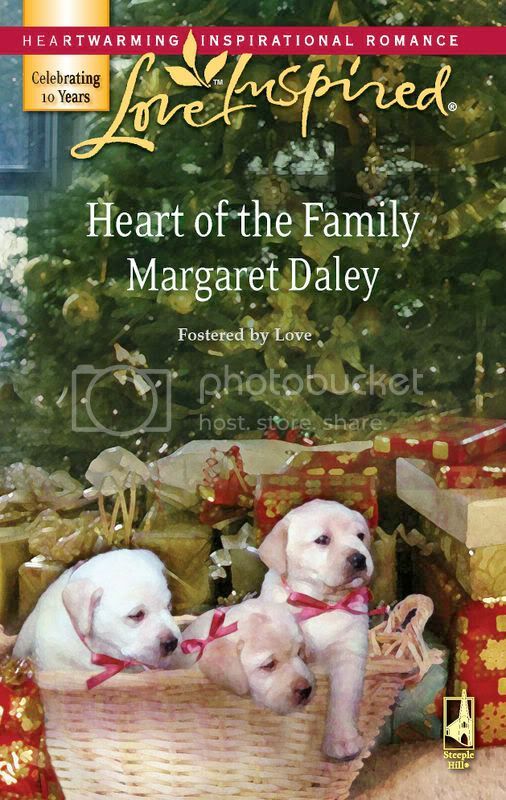 Heart of the Family (December 2007) is my second book in the Fostered by Love series I have for Love Inspired. The first one was Once Upon a Family (a top pick from Romantic Times). This story is about Dr. Jacob Hartman and Hannah Smith. Women, Dr. Jacob Hartman knew, were a mystery. Take the first time he met social worker Hannah Smith at the Stone Refuge home for foster children. The woman stared him down as if he’d come at her with castor oil. Why? His past was full of heavy-duty heartache, but he was positive they’d never met. And as a former foster child himself, Jacob was deeply touched by how much she cared about the kids at the home, how loving she was—to everyone but him. Which was where, he figured, the mistletoe came in! Fostered By Love: A family guided them to faith, but only love could heal their hearts. Sounds like a wonderful read, Margaret. Another Christmas book for us this holiday season. Thank you for spending this time with us. 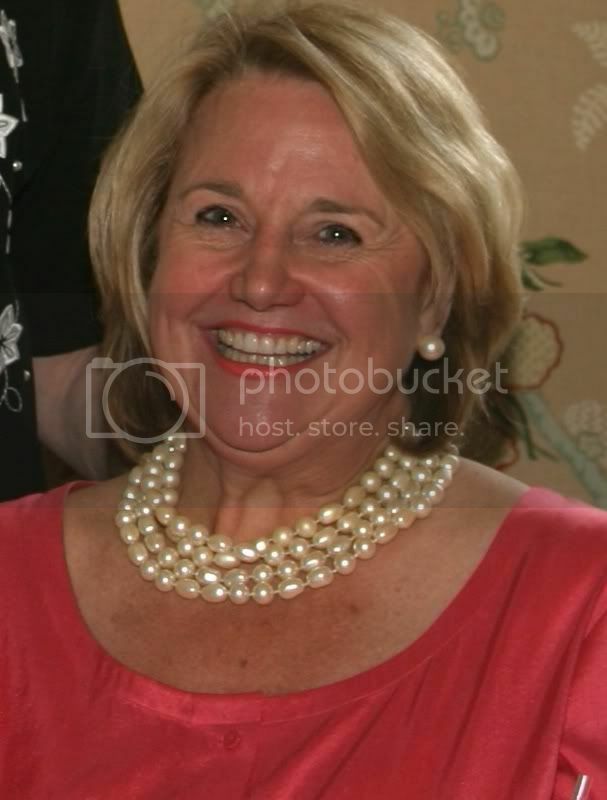 Readers, you'll want to check out all Margaret's books at www.margaretdaley.com . Be sure to leave a comment for a chance to win a copy of Heart of the Family. If you're new to this blog, sign up for Feedblitz so you'll receive notification of each post. There's a place in the right hand column to sign up. 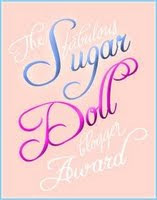 Dona Watson is the winner of Expectations by Toni V. Lee. Annette M. Irby wins Surrender Bay by Denise Hunter. 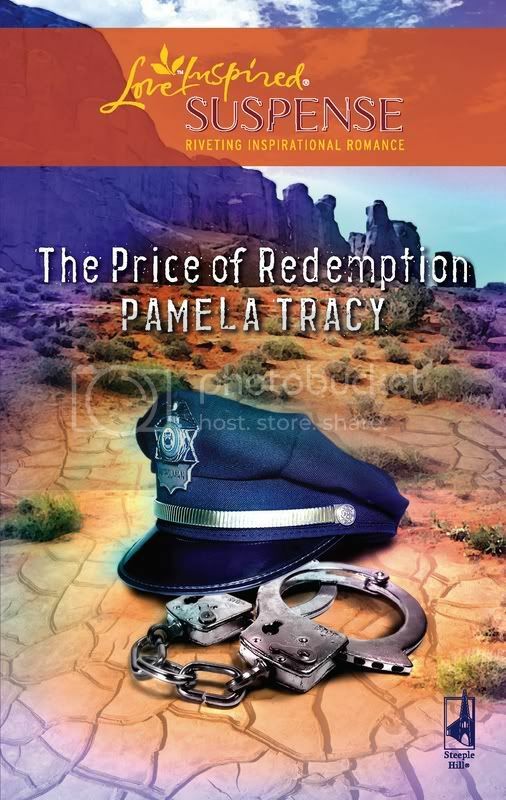 And the surrendered scribe will receive The Price of Redemption by Pamela Tracy. Congratulations to each of you. Please email me your mailing address so the author can get the book to you. There's a link under my picture in the right hand column. Also in that column, you will find a place to sign up for FeedBlitz. This will bring my blog posts to your Inbox, and you won't miss a single one. And a new interview will go up this weekend. 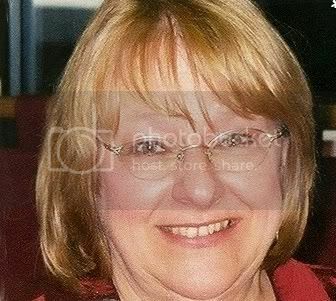 I became acquainted with Bonnie Leon through American Christian Fiction Writers. It gives me great pleasure to introduce her to you, my readers. Bonnie, tell us how much of yourself you write into your characters. When I was offered a contract for my first book I considered not signing. I wasn’t sure how I felt about exposing myself to readers. My love for writing and a belief that God has asked me to write persuaded me to go ahead and sign, thank the Lord. How I see the world is influenced by my life experiences and my own perceptions, therefore who I am has an impact on my characters and it effects what ends up on the pages of my books. I haven’t purposely created a character fashioned after me, but pieces of me show up in lots of characters. So what is the quirkiest thing you have ever done? 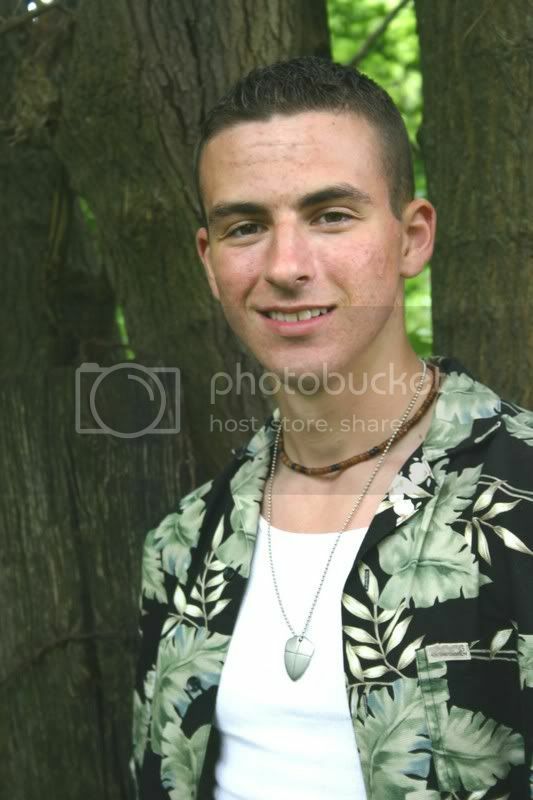 It was years ago, back in the day when being a hippy and partaking of drugs were part of my life. I lived in Washington State and in the country there were thousands of slugs. One night after taking some speed I went outside with my flashlight and a salt shaker and salted hundreds of slugs. The next day, my mother was stunned to find dead slugs everywhere and wanted to know what in the world had gotten into me. Of course I didn’t tell her, but I’ve never forgotten my outrageous way of using up excess energy. I think my first inkling came in 1979. My father had died of cancer five years previously and I was having some quiet time while my one-year-old son slept. My dad came to mind; he often did. I missed him terribly and still do. I decided to write about him—the kind of man he was and how his life had impacted mine. He was a truly a special person. When I’d finished writing I read what I’d put down on paper and was stunned. It was good (for a beginner). I remember thinking I didn’t know I could do that. I was busy being a homemaker and raising a family so several years went by before I tried again. I love all kinds of books. I do have favorites, however and historical fiction is on the top of my list. The mingling of story and history captivates me. I always learn so much while I’m enjoying a story. Two of my favorite historical novels, are Hawaii and The Last Sin Eater. In historical romance, Redeeming Love is number one. One of the things I find intriguing about history is that people are people no matter what time or place they live. Certainly some of the challenges are different, but the way people relate to one another and their strengths and weaknesses seem to be a constant through time. After historical fiction, I adore true life stories, such as The Hiding Place by Corrie Te Boom and You’ve Got to Keep on Dancing by Tim Hansel. I am inspired and encouraged by those who stand up to the worst life can throw their way and still live faith-filled lives. Third on my list of favorite genres is Women’s Fiction(literary), such as The Girl With the Pearl Earring. That was such a great book. And I loved The Secret Life of Bees. Sue Monk Kidd is a simile genius. I’ll list them for you in the order of release date, beginning with my first series. I love books set in Australia. I'm going to have to get copies of The Queensland Chronicles series. How do you keep your sanity in our run, run, run world? Good question. Sometimes I don’t manage very well. My life is busy, as are most peoples’ these days. Being a writer brings its own special challenges. I have to be creative whether I feel like it or not. :-) There are always deadlines and other tasks waiting to be done. My life can’t be just about writing books. I have family and friends, and they’re important to me. So I do my best to spend time with those I love, especially now that three of my grandchildren live with me. Still, I have to cut out a lot of time to write, plus create and present writing workshops and inspirational speeches. And I dare not avoid the promotional roller coaster, which can be a wild and time-consuming ride. My sanctuary is Christ. I meet with him every morning for prayer and Bible study. And I do my best to remember that He is with me wherever I go. He is my strength. I know what you mean. How do you choose your characters’ names? Names matter a lot. When writing historical fiction I have to be careful that the name fits the time and place. So that’s something I look for right off. I always want to consider the type of character and make sure it fits that person. For primary characters I usually consider the meaning behind a name as well. It helps me connect more completely with the person and I love to use the info in a story when I can. I use a character naming book, an online sites, and a baby naming book as references. I also make lists of names while doing research, especially when there’s an ethnic background, such as in the Northern Lights Series. I want to use names that would actually have been used for a certain culture. Most days it was a blessing. I loved the time with my children—blackberry picking, baking together, hunting for tadpoles—I enjoyed all of it, but mostly the laughter. When my husband and I decided to start a family one of the things we never counted on was the laughter. Our kids made us laugh every day. Now my grandchildren do. And that laughter is a special blessing from God. If you were an animal, which one would you be, and why? What a great question. I think a horse would suit me. They’re beautiful, powerful animals. When they raise their tails and prance or run across a field leaping and shaking their heads I can feel the joy and pleasure they take in just being strong and free. I think they are noble and confident, qualities I admire. Does chocolate count as a food group? I am a chocoholic. I love it any way I can get it. Probably 80% of the authors respond with chocolate. I'm right there with you, too. What is the problem with writing that was your greatest roadblock, and how did you overcome it? Time. I crave more time to create, to allow ideas to percolate and grow naturally. I would love to have enough time to allow a story to evolve at its pace rather than mine. And as to how did I overcome it? I haven’t. Perhaps when I retire and create stories just for myself, with no expectations or deadlines, then it will happen. Enjoy writing. There is such pleasure in the creative process. Certainly learn the craft and don’t throw out the rules, but don’t let them dominate you either. There is joy in creating and storytelling so experience that to its fullest. Writing is a gift so accept it and take pleasure in it. Bonnie, I love the cover. What would you like to tell us about the featured book? To Love Anew but there isn’t time or space here. All I can say is that it opens in 1804 London and carries the reader to New South Wales, Australia. When I started writing the story of Hannah Talbot and John Bradshaw I had no idea of the adventure I’d be taking. It’s been a remarkable journey. One I hope my readers will enjoy as much as I have. Everything Hannah loves is taken from her and she finds herself on a prison ship sailing for New South Wales. Having committed what she sees as an unforgivable sin, she struggles to forgive herself and has no hope of ever knowing joy. John has been betrayed by those closest to him and has lost everything he holds dear. His future holds no hope. This is a story about two people whose hearts are filled with pain and how they discover a Love greater than their sorrow. I’m easy to find. Just go to www.bonnieleon.com. Make sure to say hello. Thank you for spending this time with us, Bonnie. 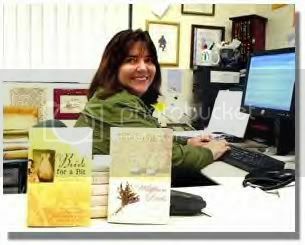 Readers check out Bonnie's web site and her other books. If you want a chance to win a copy of this book, leave a comment on the interview. In a couple of weeks, we'll draw a winner. If you don't want to chance missing a single interview or winner post, sign up for FeedBlitz, under my profile in the right hand column. This weekend, we'll choose a winner for the three at the bottom of the list. Today the interview is with Brian Fleming and his non-fiction book, A Life Worth Living. I met Brian on Shoutlife. Since I have a brother named Brian and a grandson in Iraq, I was doubly interested in him. Brian, you are writing nonfiction. Do you also write fiction? No, I do not write fiction, or at least I am yet to do so. Generally I do not read fiction either. I am a very “real” person in all aspects of my life and simply don’t enjoy anything that is “fake,” so to speak. I find that somebody who is writing about their life or something else out of their own personal experience is the most powerful way to impact the lives of others. In the little fiction I have read, however, I have found great lessons learned through parables and stories, which I think is probably the most powerful side of fiction itself. It would be primarily for this reason that I would write fiction, if I ever did. As a fiction writer, I will say that all of my books have spiritual truths lived out, and they have impacted the lives of others. What would you like for our readers to know about you personally? I am zealous about instilling a passion for living in everyone I meet. This passion for living was given to me directly from God while I went through my life’s second great tragedy while I was living in South Korea when I was nineteen years old. Through that tragedy came passion not only to live, but also to write and publicly speak. I am a combat wounded veteran from Operation Enduring Freedom in Afghanistan. I learned many life lessons while at war, battle methods that apply not only to the war itself, but also to the everyday battles we fight and struggle with. I was born and raised in Jackson, Michigan. I lived there until I was 16 years old (my parents divorced when I was 13). I lived with my father for three years after the divorce. I moved to South Florida when I was 16 years old to live with my mother. Graduated from high school down there and joined the United States Army upon graduation. About a year and a half into my Army career I met my wife, Jamie, on the internet at a Christian personals site. We emailed each other, we began talking on the phone, and finally met in person. We married a year after our first email. She is one of the most beautiful and faithful women I have ever known. She stayed with me faithfully through my deployment to Afghanistan and was by my bedside ever moment of the day when I was injured, even kissing me on my burned, charred lips when I told her I would understand if she did not want to. We currently have no children but want four someday. As of now, I have not published any other books. I have probably three others written but I am yet to publish, and I am currently working on my next book, which is going to include my personal, first-hand accounts of my war story and that of others who have also paid a price, and who paid the ultimate price while at war. It should be published sometime in 2008. Keep your eyes open for it! As previously stated, I have three other books written that I am yet to publish. I am really trying to focus all of my attention on my most current book that I am writing and, therefore, have not gotten around to publishing the others yet. You can visit my personal website, which features my first book, as well as my war stories (or should I say “testimonies”) of how God saved my life in combat, as well as my bio and other news and updates on me. My website is: www.briancfleming.com I encourage all of you who are reading this to visit and be encouraged. I enjoy working out in the gym, running marathons, outdoor sports such as hiking, mountain climbing, and skydiving. Obviously, writing is one of my greatest passions. I enjoy speaking publicly about what I have gone through in my life and my book and how it has all worked out to make a great story (as all of life is a story) so far. I enjoy going to various different churches and making friends everywhere I go. I did not plan on writing this book. In fact, at that point in my life I hated to read! I had never enjoyed reading and never planned on writing any kind of book for any reason. It began when I was going through my second life tragedy while living in South Korea. I was so stressed and angry and sad and disconnected that I almost didn’t want to live anymore. I began getting these “random” thoughts all throughout the day, everyday for almost 3 or 4 months straight. For some odd reason these thoughts seemed to be extremely important and I had no idea why and if I would begin forgetting them I would go crazy and get upset at myself for doing so. So I began carrying a pen and paper with me everywhere I went and began writing all of those thoughts down that came to me. One thought would gradually lead to another, which would lead to another, and they would “snowball” off of each other until the original thought became an “avalanche” of thoughts, which later became either sections of the book, or entire chapters! That was God speaking to me. There was a source from which these thoughts were flowing into my mind and then out of me and onto paper. I was not thinking these things on my own, yet I couldn’t stop them from entering my mind. A very special friend of mine told me at that time that I had a talent for writing and that I should write a book. I sort of laughed at the idea at first because at that time I hated to read, so I wasn’t thinking about writing a book. Somebody who hates to read and then goes through a life tragedy doesn’t think about writing a book that will inspire others and give them hope that they were created for a special purpose. Writing a book was beyond the last thing on my mind, but after a while I looked at all I had written down and saw that I really had something going that could help others. On top of it all, looking back, it was a therapy that helped me recover that perhaps nothing else could have. Knowing that others can be inspired and helped through the work I wrote during my own tragedy is an enormous help because that tells me that I endured what I did for a reason. There was a purpose for it all, a purpose for the better, despite how excruciatingly painful it all was. I want the reader to discover a new and profound passion for living. I want the reader to know that no matter what tragedy they may be going through in life, that there is a reason for it. God works all things together for the good of those who love Him and are called according to His purpose (Romans 8:28). I want them to look at the tragedy they are facing and to look at my book and know that this book is the direct product of a tragedy I would never have chosen to go through and never desire to go through again. It proves that for every bad thing that happens in our lives, there is always a good side and I want others to always remember that. We always look so much at the bad side of things that we never see the light. You see, where there is a shadow, there must also be light because without the light there would be no shadow, only complete darkness. These shadows are random battles and tragedies we face, but there is always hope. My life fell apart and I wasn’t able to do anything but stand back and watch. This inspiring and insightful book is the direct result of that. God took a twenty year old young man who hated to read and used him to write a book that will forever help others cope with their own tragedies. Without my tragedy I would have no book. What tragedy are you going through? What great thing could come out of your tragedy? You may not see it right away, I didn’t, but in time you will if you will keep your eyes focused on God and what He has planned for you (read Romans 8:28 in the Bible, as previously stated). Simply put, nothing is impossible for God. When the shadows of life overwhelm you, keep your eyes open so that you will be able to see the Light through your circumstances because it is always there. *To listen to me speak about how this book came into existence, visit my website: www.briancfleming.com and click the audio link to listen to me talk about the book and its origin. Brian, thank you for spending this time with us. Readers, leave a comment on this interview for a chance to win a copy of the book. If you don't want to miss a single interview on this blog, sign up for Feedblitz (under my profile in the right hand column). 5 Winners - Woo!!! Hoo!!! Sorry I didn't get to this yesterday. For those of you who don't know, I had a knee injury the second Sunday in September. I'm in physical therapy for it. Yesterday was a long day with lots of activity. I planned to do this during the break. However, I needed to ice my knee. While I did, I fell asleep and didn't wake up until James came home and we had to get ready to go to church. All 5 of you need to contact me with your mailing address. There's a link to my email under my picture in the right hand column. Once again, we have a visit from Tricia Goyer. This time featuring her latest release, A Shadow of Treason, book two in the Chronicles of the Spanish Civil War series. Tricia Goyer has published over 300 articles for national publications such as Today's Christian Woman, Guideposts for Kids, and Focus on the Family, and is the co-author of Meal Time Moments (Focus on the Family). She has led numerous Bible Studies, and her study notes appear in the Women of Faith Study Bible (Zondervan). Tricia has also written Life Interrupted: The Scoop on Being a Young Mom (Zondervan, 2004), 10 Minutes to Showtime (Thomas Nelson, 2004), and Generation NeXt Parenting (Multnomah, 2006). Life Interrupted was a 2005 Gold Medallion finalist in the Youth Category. Also, coming out in the next year are: My Life, Unscripted (Thomas Nelson, 2007), Generation NeXt Marriage (Multnomah, Spring 2008), and 3:16-the teen version of the a book by Max Lucado (Thomas Nelson, Spring 2008). Tricia and her husband John live with their three children in Kalispell, Montana. Tricia's grandmother also lives with them, and Tricia volunteers mentoring teen moms and leading children's church. Although Tricia doesn't live on a farm, she can hit one with a rock by standing on her back porch and giving it a good throw. A Shadow of Treason follows A Valley of Betrayal. This is the first time you've written books as a series instead of stand alone. Which way do you like better? I love writing in series. It was great to continue with the same characters. In my stand-alone books I fell in love with these people and then I had to say good-bye after one book. It was wonderful to be able to continue on. In A Shadow of Treason Sophie must return to the person who betrayed her in an effort to help the Spanish people. It makes the book hard to put down because the reader has to know how Sophie's heart will deal with it. Why did you decide to make this an element of the book? There are very few of us who go through life without giving away a part of our hearts to someone who didn't deserve it. Even though Sophie had the best intentions, she gave away her heart and she was hurt-not only that she must revisit those emotions. I wanted to include this element-to delve into the topic that emotions are sometimes as big of a trap as any physical cage. Emotions are real and they guide us -- even when we don't want to admit it. Poor Sophie, not only does she have to deal with a war around her -- she also has to deal with a war within herself. It's something I've battled, and mostly likely others have too. There is an interesting element that arises in this book and that is Spanish gold. I know you can't tell us what happens in this book, but can you give us a brief history of this gold? Sure. When I was researching I came upon something interesting. The Spaniards, as we know, had taken much Aztec and Inca gold during the time of the conquistadors. Well, at the start of The Spanish Civil War much of this gold was still held in Madrid. In fact Spain had the fourth largest gold reserves in the world at that time. The Republican government was afraid Franco would take the city and the gold. They had to get it out of Madrid and this included transporting priceless artifacts. The element of gold does make its way into my story. It was great to include this little-known (and true!) element into my story. Another historical fact I learned about was the Nazi involvement during this time. Not only were the Germans active in Spain, but they had spy networks busy around the world. How did you find out about this? I love reading tons of research books. Usually I find one little element that I dig out and turn into a plot line. This is what happened with my plot-line for the Nazi pilot, Ritter. I dug up this bit of research of Nazi involvement in Spain -- and the United States -- because a lot of people aren't aware of the Nazi involvement prior to WWII. The truth is they were busy at work getting the land, information, and resources they needed far before they threatened the nations around them. The Germans knew what they wanted and how to get it. And most of the time they succeeded! A Shadow of Treason is Book Two. When will Book Three be out? Can you give us a hint of how the story continues? Book Three is A Whisper of Freedom. It will be out February 2008. The characters that we love are all still in the midst of danger at the end of Book Two. Book Three continues their stories as we follow their journeys in -- and (for a few) out -- of Spain. It's an exciting conclusion to the series! Wow, so we have a least one more fiction book to look forward to in the near future. Are you working on any non-fiction? Yes, I have two non-fiction books that will be out the early part of 2008. Generation NeXt Marriage is a marriage book for today's couples. It talks about our marriage role models, our struggles, and what we're doing right as a generation. It also gives advice for holding it together. I've also been privileged to work on the teen edition of Max Lucado's book 3:16. It was a great project to work on. What an honor! Sophie discovers that nothing is as she first imagined. When Walt, the reporter who helped her over the border, shows up again after Guernica is bombed, Sophie is given an impossible mission. She must leave behind the man she's fallen in love with and return to the person who betrayed her. Another layer of the war in Spain is revealed as Sophie is drawn into the international espionage schemes that could turn the tide of the war and help protect the soldiers from the International Brigade ... she must find a way to get a critical piece of information to Walt in time. Thank you for being with us today, Tricia. Readers, if you would like a chance to win a copy of A Shadow of Treason, leave a comment on this interview. Two winners will be chosen this weekend. If you don't want to miss a single interview, sign up for FeedBlitz in the right column under my profile. Pamela, tell us how much of yourself you write into your characters. I wonder if there’s a writer out there who doesn’t write themselves into their characters just a bit. When I’m writing suspense, there’s only a little ‘me’ in the characters. There’s more of the ‘me’ I’d hope to be: brave, dedicated, and adventurous. For example, in this month’s release The Price of Redemption, Ruth takes her daughter to kindergarten. I was a kindergarten teacher for six years, so I’m more the teacher than the heroine. I have two characters who are mothers and they stick around peeking in the classroom door until the teacher shoos them. Been there; done that. In a romance that releases next year, Lucky in Love, I have a heroine who attends a rodeo, and, yup, the rodeo I describe is one I’ve been to. For a short while, it’s not Natalie traipsing through the rodeo, it’s me. For my writing? I once went to a resort and asked it I could draw one of their suites. I was using it in my book. They let me. So ten minutes later I’m standing in the room drawing, and jotting down notes, and finally I realize that the cleaning staff is a bit apprehensive. Finally, one asked if I was immigration. Outside my writing? LOL, you want me to pick only one! I’m reading Hometown Cinderella right now by Victoria Pade. There’s a line in it that states had the heroine not had books, she’d have had an easier time moving. When I married my husband, and we moved to the home we’re in now, I remember him saying, “Why do you have ALL these books?” I love all kinds of books. I read historicals. My favorites are Mrs. Mike, Years, and Gone with the Wind. I love mysteries. I can’t even begin to list my favorites. I’m hooked on Sue Grafton and Patricia Moyes. I love chick lit, hen lit, contemporary, and even young adult. My keepers include Front Porch Princess, the Potluck Club ladies, and Junie B. Jones. Right now I spend most of my time writing for LI, but in September I had a prayer book out from Barbour. My second prayer book. I also write novellas for them. I think I’ve done about ten. Seriously, that’s probably the most important question you could ask. I’m amazed that my writing career took off during the busiest time of my life. When I started writing and even when I first sold, I was single and had summers off. Now I’m married, have a two-year-old, and summers off. Wait, I don’t have summers off; I have a two-year-old. I write from about 6 a.m. to 8 a.m. Then, if the baby naps, I write. My husband is very understanding. During the school year, I write from 6 a.m. to 8 a.m. then I go off to work. I stay sane with the help of my family, plus I still make sure to read for enjoyment and I crochet whenever there’s an extra moment. Character naming is not my gift. When I sold my most recent two books to Harlequin, the editor emailed me and told me that I couldn’t name the child in both books Justin. I had to go look. Yup, I was using Justin for both books. Guess I was having a Justin kind of week. Once, when I was waiting for my car to get fixed, I ate a piece of candy. On the wrapper, it read de la Rosa. Yup, my next book had a herone with the last name of de la Rosa. Usually I just try to come up with names that start with different letters. That doesn’t always work. My next book Broken Lullaby has a hero named Mitch and a heroine named Mary. Two m’s and I can’t change them because they’re from earlier books. Easy question. I am a Mommy! A Mommy! A Mommy! I have a little boy who seems to be happy and healthy. His hand is warm when it clutches mine. I am his favorite person (right now). I am amazed by this little person who I am responsible for. As a Mommy-come-lately, I truly know to sit back and watch him grow. Wow. Enjoy every moment. Before you know it, he'll be gone and making you a grandma or great grandma. If you were an animal, which one would you be, and why? My problem was not spending enough time figuring out where I really fit in the publishing world and then figuring out that it was okay not to be a perfect fit but my own kind of fit. Does that make sense? Probably not. I’m not sure ‘I’ overcame it. God did. He kept guiding me to the inspirational market. 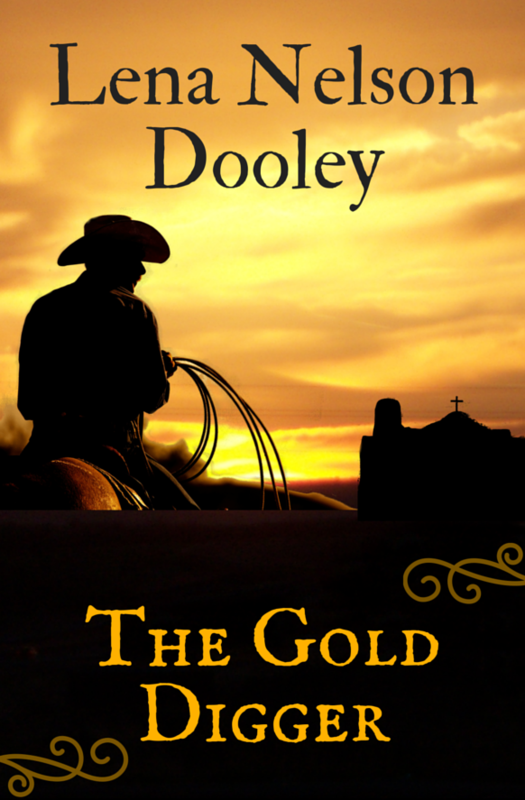 The Price of Redemption is second in the Gila City saga. Ex-con Eric Santellis figures there might be worse things than finding a dead body in the shed of his grandfather’s cabin. But, while staring that the remains of a person who fortunately for Eric, unfortunately for the deceased, stopped breathing while Eric was still in prison, he can’t think of one. He doesn’t need to think of one. There are two dead bodies in his shed. Police officer Ruth Atkins is just leaving a funeral of a fellow officer killed in the line of duty by 15-year-old caught stealing a car when she gets the call she’s been praying for a dreading for two years. A body has been discovered on Prospector’s Way. Two years ago, her husband’s police cruiser had been found on the dirt road near the cabin Eric Santellis now calls home. A smear of blood dirtied the driver’s seat. His body had never been found. Ruth Atkins watches as for a second time the investigation into her husband disappearance and death leads in the wrong direction. Why is everyone so willing to believe that the bullet came from a gun belonging to a woman who has already proved she’s on the side of the law, the side of God? It’s too convenient, and the ease in which investigators label Dustin’s file as cold is hard to stomach. Two years ago, she’d done what she could by joining the police force. She’d never felt it was enough. Today, she had a bit more experience under her belt and a lot more gumption. Before long, and only somewhat unwillingly, Ruth and Eric join forces to solve very different murders. They make a good team. Good thing, too, because it turns out that God isn’t the only one watching over them. This novel tackles a woman’s journey. Ruth Atkins overcame a terrible home life, married a Christian man, and created what, for her, was a fairy tale life. Unfortunately, most fairy tales are short stories. Hers certainly was. Her husband disappeared two years ago, and Ruth needs closure. It also tackles redemption in so many ways. Our hero also journeyed over life’s uneven road. Eric Santellis also had a terrible home life. His father, family, was organized crime, and Eric had the misfortune to be born with a conscience. He cost him dearly. He’s estranged from his family and also wound up spending a few years in prison. Exonerated for a murder he didn’t commit, he’s not too happy to find not one but two murder victims in his shed. What these two find, when they journey a dangerous road together is closure, forgiveness, and love – both God’s and each other’s. Motivation to buy: Adventure, angst, and family are sought after plot points in an edgy Christian suspense. Pamela, thank you for spending this time with us today. Readers, you'll want to get a copy of this book right away. You can sign up for a free copy by leaving a comment, but if you don't win, you'll want to read this story. Sign up for Feedblitz, under my profile, so you won't miss a single riveting interview. Today, I'm introducing you to Denise Hunter and her newest release, Surrender Bay. So, Denise, tell us how much of yourself you write into your characters. Great question! There’s usually an issue or a personality trait that comes from me. Not telling which ones. :-) This helps me feel closer to the character and helps me make her more real to the reader. Sometimes it even helps me work through things I don’t like about myself. I’m not really a quirky kind of person, but I do have some little oddities about myself. I order the exact same drink every morning (Cinnamon, skinny, single latté), I always eat the broken potato chips first, and I save my favorite thing on the plate for last. These are all about food, aren’t they? Hmmm. I’m a writer? Just kidding. I didn’t decide I wanted to write a novel until I was in my mid-twenties, and even then, I didn’t know if I was a writer or not. I figured I’d just research how to write a novel, sit down and do it, then see what happened. I didn’t realize that writing is a craft, and you get better with practice and acquired knowledge. It’s a good thing I sold that first book, because if I hadn’t, I would have assumed I didn’t have what it took to be a writer. I really know what you mean with that last statement. I sold my first novel, too, but it took a long time. Tell us the range of the kinds of books you enjoy reading. I have become such a picky reader. I used to be able to sit down and read just about any novel. Writing, or rather, learning the craft, has made me very particular. I love contemporary books with a strong romantic thread, but it’s hard to find ones that hold my interest. I probably finish one book for every seven I start. I miss the days when I could just pick up a novel and curl up for a couple hours! I started out writing historical romances for Heartsong Presents. Barbour packaged these four novels together under the title Kansas Brides. I wrote a series set in Jackson Hole Wyoming. The titles are Mending Places, Saving Grace, and Finding Faith. Currently, I’m writing a series set in Nantucket. The first one, Surrender Bay, just released. I say no a lot! No kidding. (See, I just said it.) I learned several years ago that when I’m overburdened by a hectic schedule, I am not a nice person (mother, wife, friend). In addition to my writing, I drive my three boys to and from school—that’s two hours of my day, but a good two hours because it’s a good time to connect with them. After all, they can’t leave. :-) They’re all involved in sports, which requires a lot of running, then there’s homework, and church stuff (I play the drums on my church’s worship team). I put some time into book promotion. Most other things, I say no to. I love naming my characters! I use a book called Beyond Jennifer and Jason. It organizes names by personality, origin, ethnicity and so forth so it really helps me get the names right. Sadly, I’ve actually given thought to this question many times. It’s a toss-up between the sea lion and the penguin. I love how lazy and surprisingly graceful sea lions look floating through the water. But they’re big and cumbersome, so the penguin appeals too. They get to play and slide and frolic. However, I don’t like fish, so maybe neither is a good pick. Is there an animal that eats chocolate? Chocolate, in case my last answer didn’t give it away. Preferably dark chocolate. It’s healthy, you know. I’ve believed that for years and now science backs me up. I love dark chocolate, too. What is the problem with writing that was your greatest roadblock, and how did you overcome it? Undoubtedly, it’s my own fear, and unfortunately, I haven’t conquered it. It faces me every time I sit down to write or procrastinate writing by doing laundry or dishes or toilets or anything that will help me avoid that moment when I face the blinking curser. One good thing about it, though, is that it keeps me dependent on God. I truly can’t do this writing thing without Him and we both know it. That's the truth. What advice would you give to an author just starting out? Read books on writing. Practice what you learn. Read good novels in the genre you enjoy. Write in that same genre. Join a writers' group and learn from them. Practice what you learn. Go to conferences to network. Take workshops, online and otherwise. Practice what you learn. Keep reading, keep writing. It takes persistence to get published. You will get rejections (we all do! ), just learn from it and keep plugging away at it. 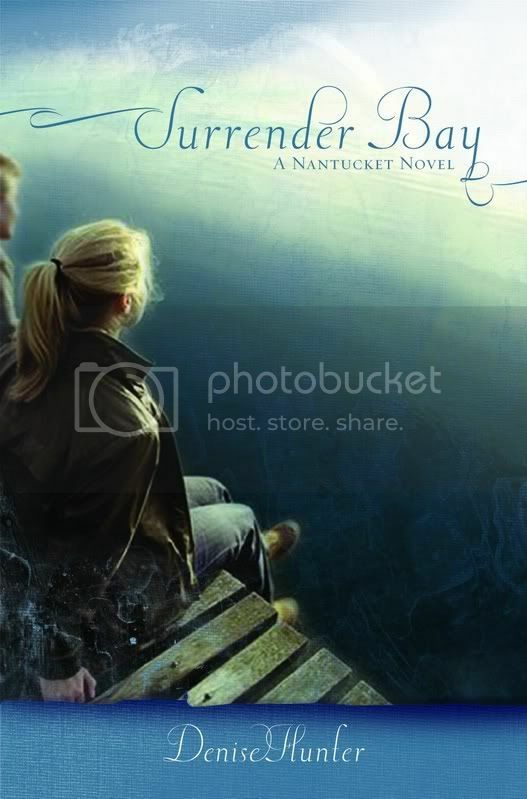 Surrender Bay is a love story set on the island of Nantucket. It features Sam, a single mom who inherits the dilapidated seaside cottage she grew up in. She returns home to fix up the cottage for resale and finds her old best friend and soulmate, Landon Reed, still living two doors down the shoreline. 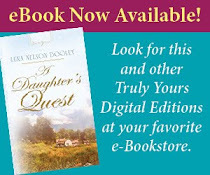 Because of issues from her past, Sam is afraid to trust her heart to Landon or anyone else, but Landon is determined to make her see that his love is steadfast. Although there’s no overt faith thread in Surrender Bay, it’s told as a parable so there is a faith message. Landon loves and pursues Sam the way God pursues us. I hope it will help readers see God’s love in a fresh way. I can hardly wait to read it. However, I've promised my readers that I would read Christmas books and review them in November. So Surrender Bay is on my to-be-read pile for when I've finished with the Christmas books. How can readers find you on the Internet? Thank you for spending this time with us, Denise. I'm sure many of my readers will want to get a copy. 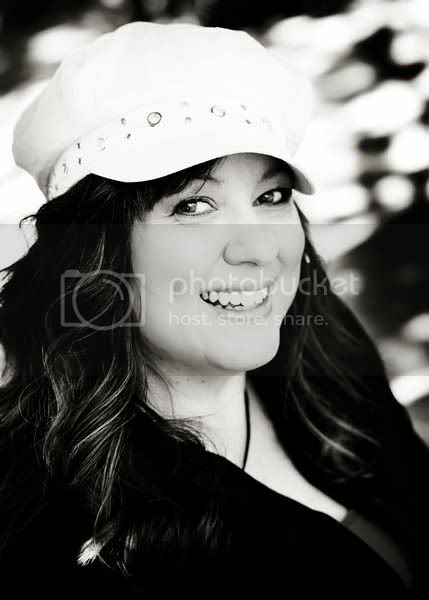 Readers, check out both of Denise's web sites. Remember to leave a comment on this interview for a chance to win a copy, but if you don't win, you'll want to get a copy. And sign up for FeedBlitz to receive a copy of each post in your email inbox. You can do that in the right hand column under my profile. Two More Winners - Yea!!! 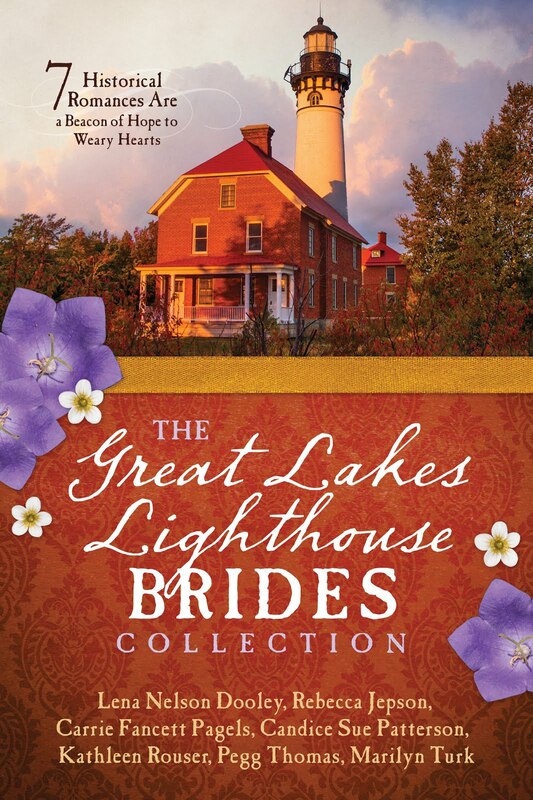 Carie Turansky is the winner of Colonial Christmas Brides by Irene Brand. Alexis Jacobs is winning The Other Daughter by Miralee Ferrell. You both need to send me your mailing address. There's a link to my email under my picture in the right column. 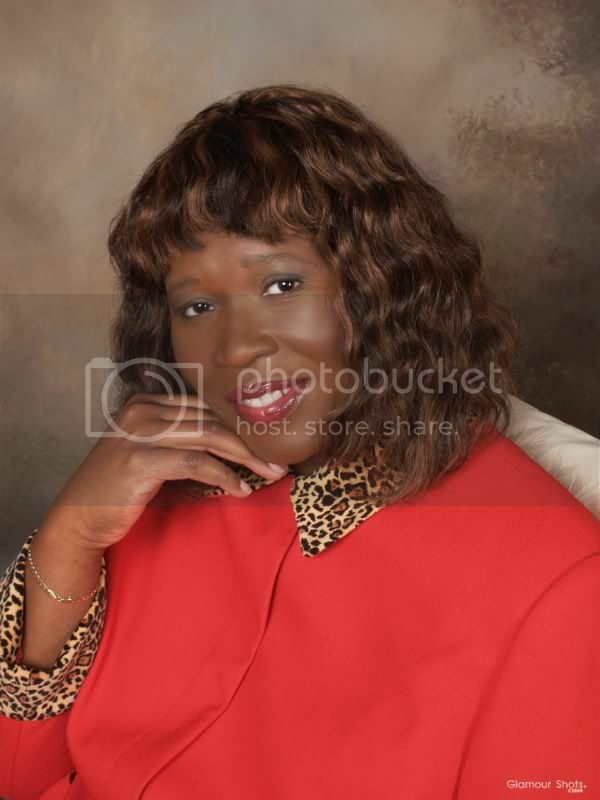 Let me introduce you to one of my newer friends from American Christian Fiction Writers--Toni V. Lee. Today, we're featuring her book Expectations. Toni, tell us how much of yourself you write into your characters. I don’t believe that it’s possible to write a story and not have elements of yourself shape the characters that you “give birth” to. In Expectations, the heroine, Daria, and I share the same profession. I’m a Coordinator of Computer Applications. I analyze, design, implement, and maintain computer applications systems. In addition, Daria’s main struggle was my own—unforgiveness. I experienced firsthand its stagnating and destructive force. Like Daria, I also experienced Christ’s liberating power in this area. Daria and Aunt Lenore have several crab boils in Expectations. That’s something that I do several times a month. That sounds like fun and tasty. What is the quirkiest thing you have ever done? I’m drawing a complete blank, but I’m sure I have done some quirky things. My teenaged son has certainly said often enough, “Mom, you’re embarrassing me.” When I think about some of the embarrassing moments he caused me as a tyke, I have to say, “Ah, payback is sweet!” LOL! Two years ago, when I shared the first few chapters of Expectations with some friends. These particular friends can be brutal (in a nice way), so I expected to be slammed. They were stunned and kept saying, “This is really good.” Their reaction made me believe that maybe I could string words together in an interesting way. I’m an avid reader. I enjoy so many books. I like cozy mysteries and historical and contemporary romances. My only requirement is that they MUST give me a good giggle. Just prior to my work on Expectations, I published my first play, The Crown Mystery. I have almost completed my second novel, Even Then (working title). It contains some of the lovable and hilarious characters from Expectations. Even Then is a romantic comedy-drama about two women whose hearts are sent into a tailspin when they’re broadsided by the love of men they thought they knew very well. If you like Aunt Lenore and Aunt Euvinia in Expectations, you’re going to love ‘em in Even Then. My third novel, Acts of a Desperate Sister (working title), is also in progress. It’s a romantic-comedy about a woman who tires of waiting for the Lord to send her a husband, and her campaign to find her own. We have a lot in common. I, too, have a background in drama. How do you keep your sanity in our run, run, run world? It’s so easy to get caught up in life and become too busy to have one-on-one time with the Lord. It’s easy, but it’s also harmful. It is absolutely necessary to remain intimate with the Lord. That intimacy is maintained through reading/hearing His Word and through worship. My day begins with time in the Word. I also attend church regularly. Listening to Christian—Urban/Black Gospel and Alternative—music is a big part of my daily routine. I am so glad that we don’t have to stand on ceremony with the Lord and can worship Him anywhere and at anytime. When I start feeling overwhelmed from writing, church, work, and familial responsibilities, I take a timeout and watch Bollywood films. For my play, The Crown Mystery, I spent hours searching the internet for name combinations (first and last names). The names had to be right because they revealed the characters’ true nature. The names were clues to solving the mystery. It can be tough choosing names for characters when you have a large family. In Expectations, I’d originally named one of my characters Gwendolyn. I have a cousin named Gwendolyn. When I told her the character’s name, the first thing she asked me was, “Do I die?” Well…I changed the character’s name to Evelyn. My son. Running a close second is publishing Expectations and The Crown Mystery. I’m thinkin’ real hard with my face scrunched up and my tongue caught between my teeth. Sorry, my mind is remaining a blank canvas. Blue Crab—steamed, boiled, or fried. Throw in some corn and potatoes…oh, man! Now, I’m going to have to go and get some. Bring me some while you're at it. What is the problem with writing that was your greatest roadblock, and how did you overcome it? For someone whose patience is about the size of a gnat, waiting is excruciating. LOL! Submit and wait. Submit and wait. Submit and wait. Did I mention the waiting? Getting this novel published has definitely helped me to grow in this area. When I finished writing Expectations, I felt strongly that it had an in-time message that needed to be released immediately. My mentor and award-winning author, Louise M. Gouge, quickly disabused me of that idea when she told me, “You are not ready to be published.” Well, needless to say, that burst my bubble. LOL! I was disappointed, but determined. I allowed her to guide and teach me. Through her patient tutelage, I found my voice. After a lot of hard work, she finally told me that she thought I was ready to be published. After receiving affirmation from Louise and another expert in the publishing industry, I sought the Lord’s will for the release of His message. I stopped stressin’ about the avenue to publication and started listenin’. And here I am today. Louise is a good friend of mine. I know she gave you excellent advice. What advice would you give to an author just starting out? · Make sure you know why you’re writing. Are you writing for profit or to be a conduit for the Lord’s message? · Writing is hard work and not everyone will appreciate your brilliance. LOL! Weigh what you hear. Accept that which edifies—instructs and improves. Reject that which destroys. · Remember, enjoyment of the written word is subjective. One person may not like your story, but another may love it. · Please, please keep it real. Don’t sugarcoat life and the truth. I have received encouraging responses from readers about Expectations. Without fail, they’ve enthused about how real and believable the characters and situations are. If readers can identify with your characters and feel like they are a part of your story, I believe there’s a better chance of the message being accepted. Toni, what would you like to tell us about the featured book? 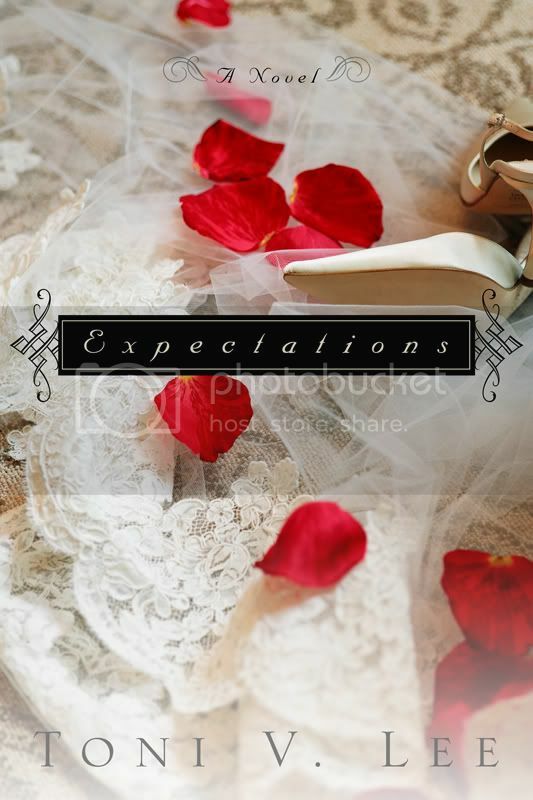 Expectations is a romantic comedy-drama about a woman who prays for a husband and receives more than one unexpected answer.When Michael Greer barges into Daria Simpson’s home to avoid a belligerent ex-girlfriend, Daria is not impressed. Then Michael renews his relationship with Christ and begins attending her church. Suddenly, the atmosphere becomes electric, and despite her best intentions, Daria can’t get her mind off that man. Soon they’re having monster alerts that have nothing to do with ogres or dragons. Hilarious encounters, eccentric aunties, and a persistent ex-girlfriend give them plenty of action, but nothing prepares them for the arrival of a secret baby who reveals an awful secret. It’s a fresh look at the struggle for pre-marital purity and the power of forgiveness. Using recognizable characters, situations, and comedy, this novel addresses the impact of self-discovery, physical intimacy, and spiritual renewal on the Christian single man and woman. · The truth that God loves them and is concerned about every facet of their lives. · Sometimes the answer we expect from God is not the answer we receive, but it will be the right answer for us. The timing of that answer will be perfect. · Unforgiveness is a destructive force. · Time for us here on earth is finite. Don’t put off having an honest and intimate relationship with Christ until tomorrow, because tomorrow may never come. · It’s important to stay pure before God in thought and deed. Thank you, Toni, for letting us into your life. 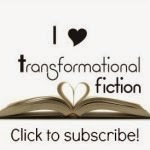 If you don't want to miss a single author interview or announcement of winners, sign u for FeedBlitz (in the right hand column under my profile).